Minister of Transport, Dzifa Attivor says about 75 percent of tyres imported into the country are used tyres and are also sub-standard. According to the Transport Minister, most of the tyres have either exceeded their manufacturers’ guaranteed age threshold or have a reduced life span. At a dialogue session to discuss the enforcement of Regulation 62 of the Road Traffic Regulations 2012, LI 2180 with stakeholders in Accra recently, Mrs Attivor stated that the use of sub-standard ‘second hand’ tyres increase the risk of accident by 30 percent. “The use of sub-standard tyres in Ghana increase the risk of crash occurrence by 30 percent by reducing braking capabilities of vehicles , and the probability of accidents in wet conditions. Studies also show that over 15 percent of vehicles involved in fatal crashes had some form of tyre defect prior to the crash. 3 out of 4 tyres sold in Ghana are used tyres,” she said. 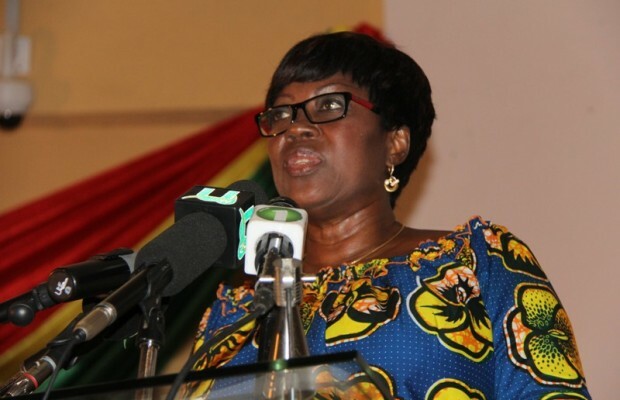 She added that the responsibility of ensuring that vehicle tyres of only standard quality and safety are used in Ghana requires a concerted effort of all stakeholders including the National Road Safety Commission (NRSC), tyre dealers and vulcanizers among others. Regulation 62 of the Road Traffic Regulations 2012, LI 2180 which is expected to be implemented by September this year would ensure that tyres imported into this country are pneumatic tyres manufactured for use in hot and normal weather areas. Under the LI, a person who drives a vehicle shall ensure that that the vehicle is fitted with tyres that meet the required standards. Attivor said government was considering the introduction of 20 electronic scanning devices known as Shearographers at the country’s ports to assist in the detection of bad tyres imported into the country. Ing. Mrs. May Obiri-Yeboah, Executive Director for NRSC in her address said her outfit through the Ministry of Tranport was working tirelessly to sensitize stakeholders as well as the general public on the impending ban on the importation and use of sub-standard tyres as the Road Traffic Regulations 2012, LI 2180 defines. David Osafo Adonteng, Director of Planning and Programs at NRSC advised drivers and tyre dealers to look out for the manufactured date on tyres before they buy them because tyres –whether new or used- become unusable 4years after its manufacture.